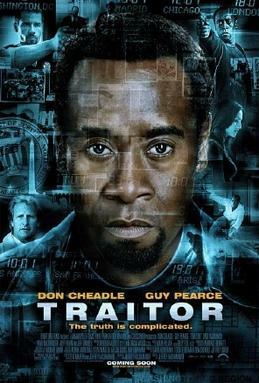 Don Cheadle gives a fine performance, but this is a weak movie. It could have been a fine drama or an intense thriller, but its bizarre ending widely misses the mark for both. Samir (Cheadle) is a devout Muslim who infiltrates a terrorist group. It’s rare these days to find a Muslim hero in a leading role, so this is great, interesting. But there are far too many scenes where the point seems to be that not all Muslims are murderous extremists. It’s awkward and uncomfortable, like the movie is meant to be Islamic sensitivity training. The thriller portion of the plot is by the numbers, but good. At one point, Samir loses contact with the American authorities helping him and it seems like the movie is going to turn into an excellent thriller. One scene in particular where Samir is left out in the cold made me sit up in my seat. But this tension never comes to much. The close is just terrible: it’s too amoral to make for a satisfying resolution to the drama and too silly to work for the thriller.